Yesterday was day one of Connell fair and our pigs did well. Ethan's took 1st in it's class, Madeline's was 2nd and Jocelyn's was 4th. Those places mean that they will be closer to the top of the auction order on Saturday, which is a good thing. Ethan was thrilled to get a yellow ribbon, and he says he's going to work hard today to get another one. 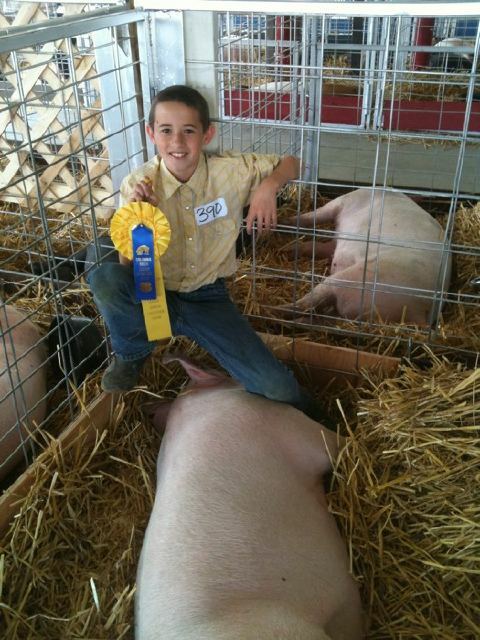 Today the kids will be judged on their showmanship skills, and how well they handle their pig in the ring.